My treble last week tipped at 13/2 arrived and let’s see if I can correctly predict this weekend’s results as well. We’ve got a top of the table clash between Stellenbosch and Mbombela United while Shakes Mashaba’s Witbank Spurs entertain promotion-chasing Uthongathi. Elsewhere, will Cape Umoya United maintain their unbeaten run under the tutelage of Dominic Isaacs? Let’s have a look at how this weekend’s matches are likely to pan out. Ubuntu Cape Town are rooted to the foot of the table and they expectedly lost to top-placed Stellenbosch last week in the Cape derby. They face a Jomo Cosmos side that registered their first win in four games when Silas Maziya’s late brace handed them a 2-0 victory over Mbombela United who subsequently dropped to third on the log. Ezenkosi beat a high-flying team and it makes sense to back them. 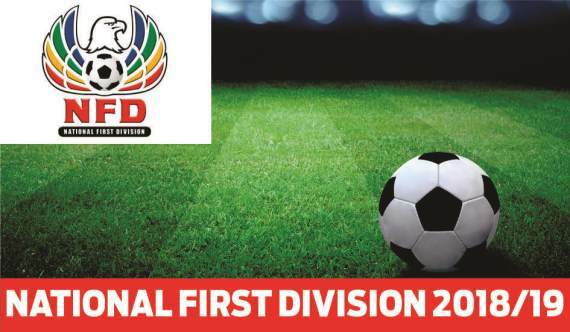 After suffering a shock 2-0 defeat at the hands of Jomo Cosmos, Mbombela slid down to third on the NFD standings and they’re now tied on points with fourth-placed Royal Eagles. Tingwenyama are now seven points off the pace and failure to amass maximum points could see them drop out of PSL promotion play off spots. The Stellies occupy top spot on the table and enjoy a seven-point lead over second-placed Ajax Cape Town. They have lost only three times this season. My money is on the Stellenbosch. Royal Eagles who are unbeaten in the last three games are fourth on the log and only goal difference separates them from top three positions. They just have to win their game and hope the opponents above them crumble. This should be a winnable game for them against a University of Pretoria side which has lost seven of it’s 19 games so far this season. AmaTuks however managed to beat Witbank Spurs 3-1 at home which highlights the fact that they can’t be underestimated. I’m predicting a home win here. Shakes Mashaba’s Witbank Spurs gave away a 1-0 lead and missed a penalty in their 3-1 defeat to University of Pretoria last week. That means Mashaba has lost two and won two of his four matches in charge of the side. They are now just one spot above the relegation zone. The Cane Cutters won the KZN derby 1-0 against relegation-threatened Real Kings and they are now five points off the top three. Baroka have snatched their leading goalscorer Siyabonga Vilane away from them but it doesn’t seem to have affected the team. I foresee Uthongathi winning this one. Ajax have won four of their last five games and that has seen them shoot to second on the log. The Urban Warriors are seven points off the pace and chasing the title while cementing their place in the top three is all they’re thinking about. Tshakhuma have bolstered their side by signing Mboniseni Mbandlwa from Tornado FC after his superb showing against Kaizer Chiefs in the Nedbank Cup. TTM who have parted ways with coach Sello Chokoe lost 2-0 to promotion-chasing Royal Eagles last week. The Urban Warriors should win this one. Richards Bay are fifth on the log and they head into this encounter off the back of a four-match unbeaten run in all competitions which includes a shock victory over Free State Stars in the Nedbank Cup. On the other hand, Dominic Isaacs remains unbeaten in his seven games as the head coach of Cape Umoya United. I can’t separate these two sides hence I’m predicting a draw. TS Galaxy are the most draw-laden team this season with nine of their 19 games ending in stalemates. They take on a struggling Real Kings side which lies second from the bottom after going for games without a win. This match is likely to end in a draw. This is s match between two sides who are eager to return to winning ways after suffering defeats in their respective encounters last week. Sporting were beaten 2-1 by resurgent Richards Bay while Maccabi lost 1-0 to second-placed Ajax Cape Town. This is another match between two sides that I can’t separate. I’ll go for a draw.